The Iranian Foreign Ministry spokesman has warned against the continuation of tensions between India and Pakistan, urging both countries to exercise more self-restraint. “The escalation of tensions and continuation of the crisis between these two countries will prepare the ground for extremist and terrorist groups and the countries supporting them to spread insecurity and create more instability in the region,” Bahram Qassemi said on Friday. Iran invites the two neighboring countries to exercise self-restraint and avoid non-peaceful approaches, he added. Tehran also calls on New Delhi and Islamabad to solve their differences through direct talks and political means, the Iranian spokesperson said. 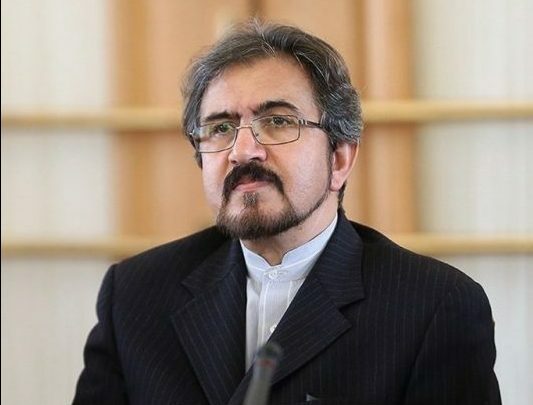 Qassemi expressed hope that the two countries would adopt “rational and non-military strategies” to find peaceful and lasting solutions to the conflict. He said countries such as India and Pakistan, which have rich culture and civilization, can once again solve their differences through diplomacy and reciprocal visits at different levels. The Iranian spokesman emphasized that more efforts by India and Pakistan at the current juncture can thwart all plots by regional and international ill-wishers. Tensions have been growing between Pakistan and India ever since New Delhi said it conducted “surgical strikes” against militants across the de facto borderline dividing the disputed region of Kashmir on Wednesday. Pakistan also said on Thursday that two of its soldiers were killed in an exchange of fire with Indian troops across the de facto border known as the Line of Control (LoC). Indian and Pakistani forces have been engaged in similar clashes in the disputed region over the past months. Each side accuses the other of provocation. In 2003, the two countries agreed to a ceasefire along the LoC in Kashmir and launched peace talks a year later. The process was, however, suspended after terrorist attacks killed over 160 people in the Indian city of Mumbai in 2008. New Delhi blamed the attacks on Pakistan-based militants. The restive Muslim-majority region has also witnessed a rise in mass protests and violent attacks since early July, when a pro-independence figure was killed in a shootout with Indian troops.